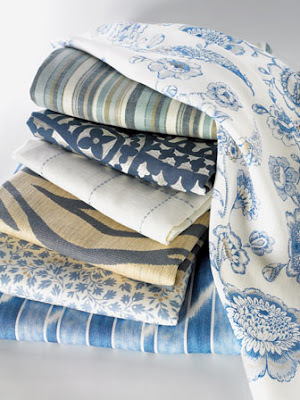 This is the Alexa Hampton Collection by Kravet,inspired by the northeastern coastal landscape. This collection includes the Galena Linen, Millstone Linen, Meadowmere Linen, Fairlea Linen, Tuckahoe Viscose and Linen, Keaton Linen, and Glenshaw linen. These lovely blue patterns are sure to cheer you up!